This gorgeous large apothecary jar measures 29cm wide x 33cm high. 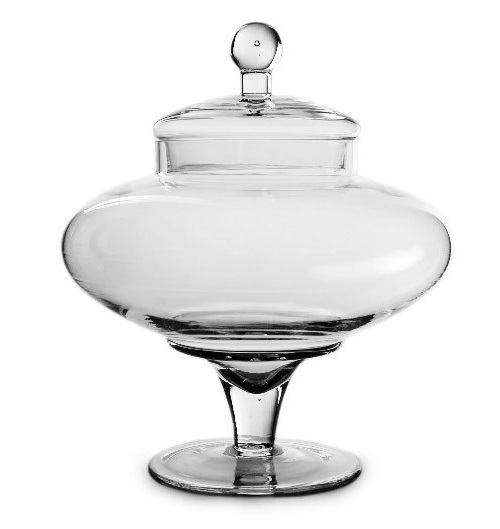 A beautiful curved glass jar with a sweet lid. Fill with your favourite lollies and sweets. A beautiful centrepiece for a candy buffet or lolly table.